When internal transportation is mentioned in the field of logistics and warehousing, it refers to the relocation of goods within the warehouse. 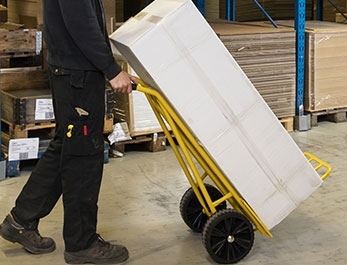 Internal transportation is only a small part of the larger process of material handling, but it is the part during which the goods are most vulnerable. Internal transportation often takes place inside a warehouse, but can also occur in an area such as the production department. Since goods are vulnerable during transport, it is important that attention be paid to how they are packed and the equipment used to transport them. At JekaShop, you will find a broad selection of high-quality, internal transportation materials for transporting goods within the warehouse. All internal transportation items are designed in such a way that goods can be transported safely within the warehouse. Furthermore, these products feature a high degree of ergonomics. 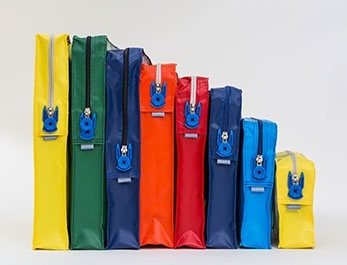 This results in decreased physical demand when using these products during jobs such as order picking and increased productivity. Without internal transportation equipment, employees have to bear unnecessarily heavy loads and unsafe situations may arise. The assortment consists of various products, which are each suitable for various applications. 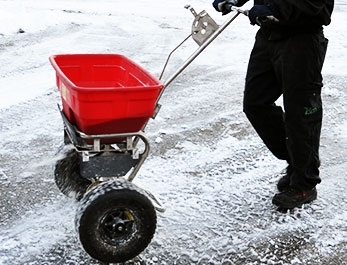 There are a number of transport vehicles available for different uses. 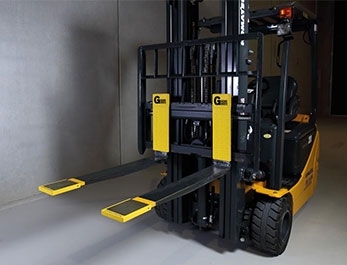 A platform truck for heavier goods that must be kept very stable. 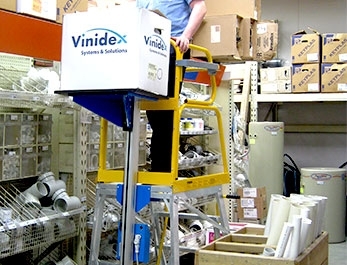 A multi-level platform truck for smaller goods or goods that are difficult to stack. 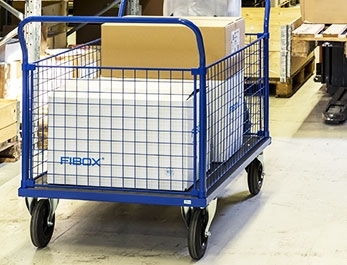 The Clax trolley offers unprecedented mobility and flexibility.